Dr Hanna Kuchel is a Dermatologist with over ten years of clinical experience in the field. She is Australian-trained and a member of the Australasian College of Dermatologists. She specialises in general adult dermatology, skin cancer surgery, hyperhidrosis and cosmetic dermatology. 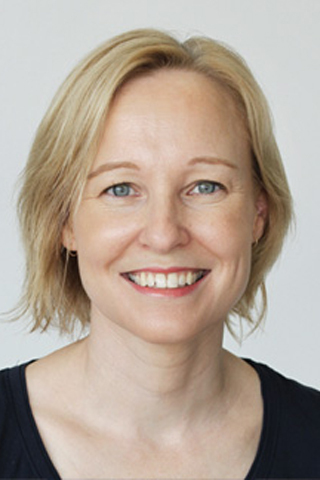 Hanna graduated in medicine from the University of Sydney in 1996 with Honours. Prior to her clinical training in dermatology she completed a PhD titled ‘Mechanisms of Ultraviolet Radiation-Induced Immunosuppression in Humans’ through the University of Sydney and Royal Prince Alfred Hospital. She has presented a number of novel research papers at local and overseas conferences. Her dermatology training was undertaken in Sydney at the Westmead Adults and Children’s Hospitals, St Vincent’s Hospital in Darlinghurst and in the United Kingdom, at the Churchill Hospital, Oxford. She currently also works at the Skin and Cancer Foundation, Darlinghurst. At the Skin and Cancer Foundation she is actively involved in registrar training. She also sits on the research and education committees and runs a tertiary referral Biologics Clinic for patients with severe psoriasis. Hanna is the principal investigator for a clinical trial investigating the effectiveness of a new biological agent for psoriasis. Hanna is our Supervising Dermatologist here at ENT Wellbeing Skincare, working with our registered nurse Alexandra Matkevich to provide the latest skin care advice. She is experienced in the use of anti-wrinkle injections and treatments, cosmetic fillers and laser surgery. Hanna is focused on achieving facial rejuvenation for her patients by using minimally invasive procedures.